After any cake smash, you have to clean up, so why not photograph it with an adorable bath time session. This is usually a favorite of little ones! And why not have a theme for them? 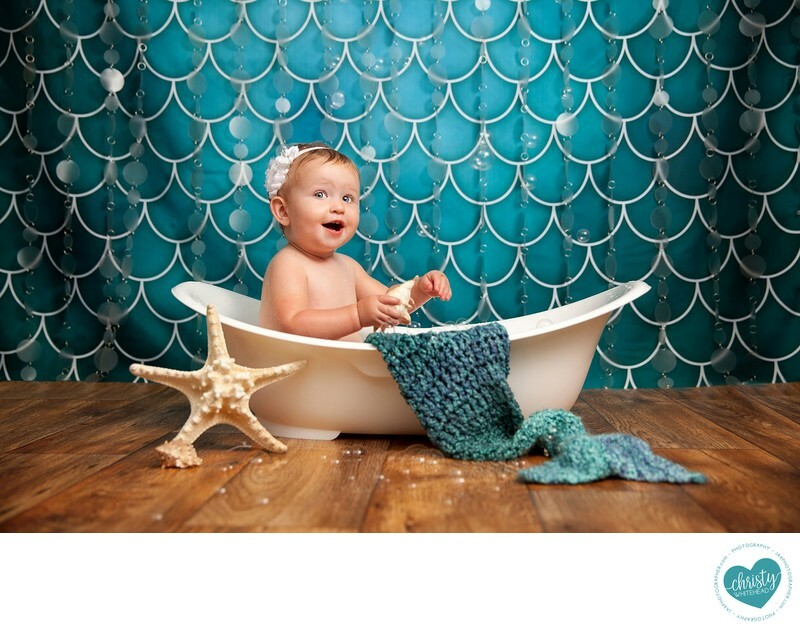 Momma loved mermaids, so I pulled out one of our mermaid tails to make her look like a little mermaid keeping cool in the bathtub.